Californian pop/hip hop songstress Kreayshawn first popped onto our radar after a tip-off from Sony Music in the middle of last year. They believed at the time that she was going to be one of the hottest artists on planet pop by the end of 2011. And while the singer’s debut single ‘Gucci Gucci’ has done the business globally (the video being watched more than 37 million times and counting), she’s still a relative unknown here on the local scene. Undeterred, the team at Sony has announced that they’re giving Kreayshawn’s debut album ‘Somethin’ ‘Bout Kreay’ a local release in the middle of next month. The first official single from the album is entitled ‘Go Hard’ and even it’s doing the business around the world, with more than 1.5 million views of the official clip (below) in less than two weeks. 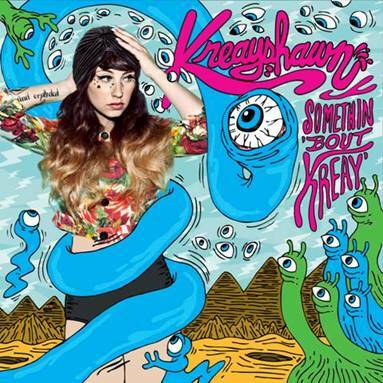 ‘Somethin’ ‘Bout Kreay’ will be released in Australia during the super-busy Friday September 14 release week. Keep your eye out for our New Release Schedule going live at 9am AEST.